It’s that time of year, when candy is being handed out constantly – at school, at parties, and of course door to door on that frightful night. It may seem like a dentist’s nightmare, but there are some ways to enjoy the treats of the Halloween season without too many tricks on your dental health. 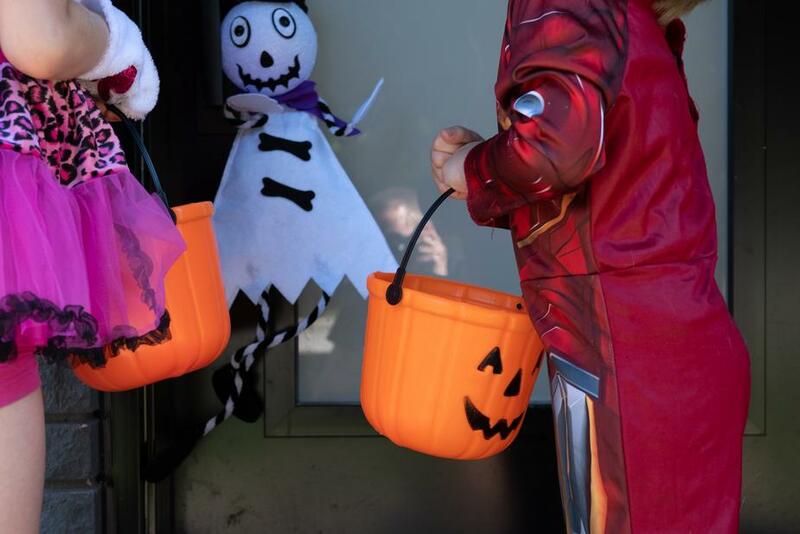 Even with a flood of candy coming your way during this time of year, there are some things you can do now to keep the candy at a minimum, or even avoid some of it altogether. At school parties and other fun get togethers, you can encourage seasonal treats that aren’t candy – such as baked goods with pumpkins or apples. While they still have some sweetness, they could also be packed with fibers. Another option is to choose a non-candy treat to hand out to trick or treaters. While you can’t control the choices of those around you, you can encourage healthy treats from your own home. The American Dental Association website has some fun and practical ideas for candy alternatives. Sometimes a small toy or little trinket can be just as much fun as more sugar! When it comes to the world of candy, the options can seem limitless. How do you know what to choose to hand out or offer as a treat? We recommend looking for the candies that are best for your teeth. 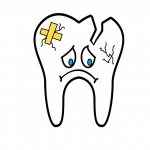 As we’ve talked about in the past, some foods are worse for your teeth than others. The same goes for candy. Look for candies that are eaten quickly and easily removed from your teeth. Avoid candies that sit for a long time in your mouth, dousing your teeth with sugar. You also want to avoid sticky, tacky candies that become lodged between your teeth, exposing the enamel to sugars for long periods of time. For example, avoid hard candies that encourage sucking for a long time or gummy candies. Whatever you eat, candies or not, the best thing you can do after you eat is remove the food particles from your mouth and between your teeth. After you or your children indulge in some Halloween candies, brush and floss thoroughly to remove the sugar from your mouth. If you don’t have time to brush and floss, at least rinse your mouth with plenty of water. Get into the habit of enjoying a treat and then cleaning your mouth, rather than munching on treats all throughout the day. If you have more candy after the holiday than you want to deal with, there are many options for getting rid of the excess. There are various donation or buy back opportunities. You could also set them aside for upcoming gingerbread houses or other creative pursuits. Don’t let the flood of candy coming your way scare you. If you think ahead, you can make plans now for a healthy, fun Halloween. Have questions about how you can keep your teeth healthy all year long? Contact us anytime.